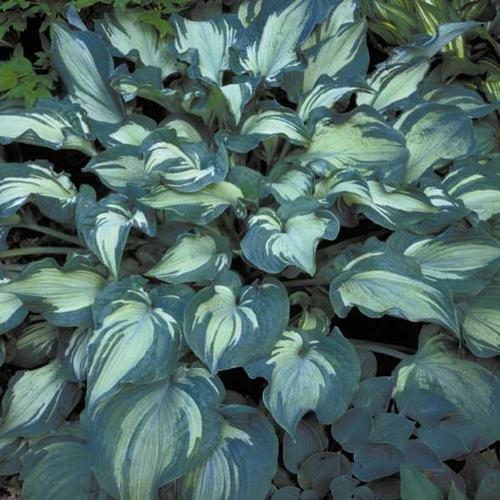 A popular sport of 'Blue Angel', Guardian Angel is variegated, dark slate green margins and misty light green centers. Light lavender flowers, wavy margins. A garden guardian centerpiece.